Moving to a New House!!! Well we are moving to a new house and we have a lot of trees to move. We have been renting the past 10 years and decided to buy. With buying I decided to start a blog now that I can organize my trees, take pictures and display the trees I intend to keep. I hope to keep this blog going at least every 2 weeks. Well we are finally in our new house, lots of work to do here. #1 is to remove a huge Sequoia on the property diameter 6 feet at breast height. The stump will make a nice bonsai bench. Still have a lot of trees to move but I got my favorite ones moved. Good thing a friend of mine moved into our old place and I can keep my growing stock there for awhile. 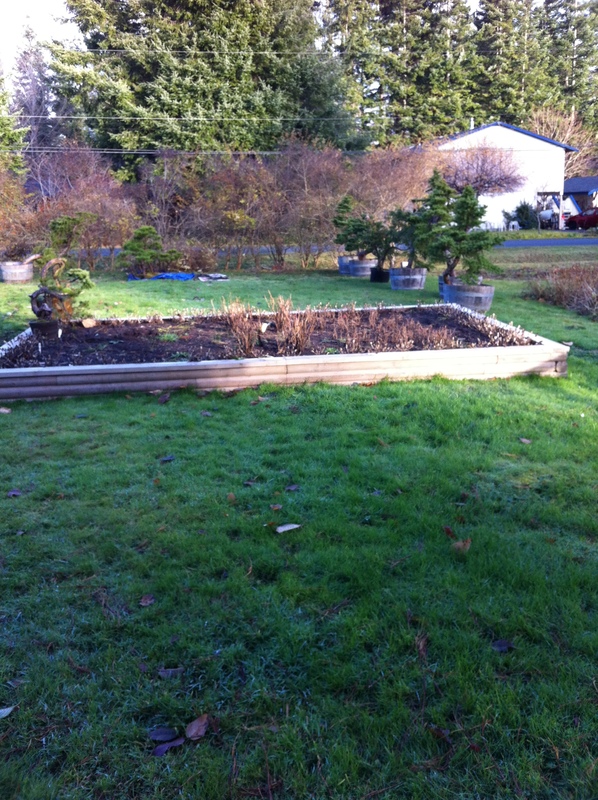 Front yard – a before picture. 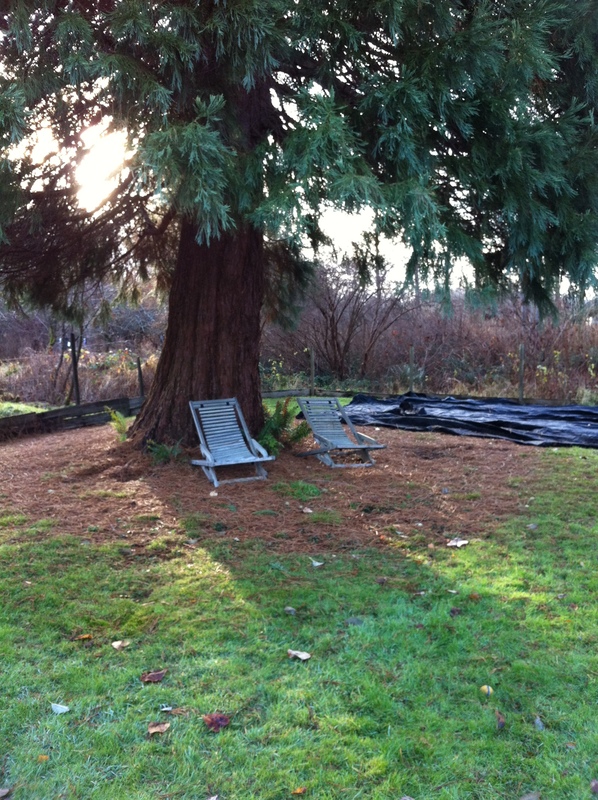 After I remove the Sequoia this garden bed is next to be removed. 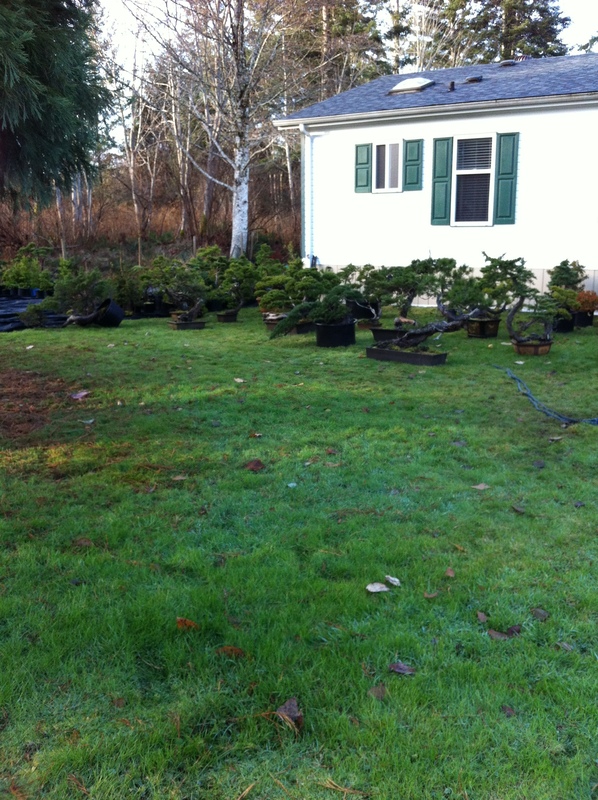 The trees in the half barrels are going to be planted in berms, rocks etc. I need to make a proper pathway, fence to keep my unruly dogs in and benches to display my good trees.